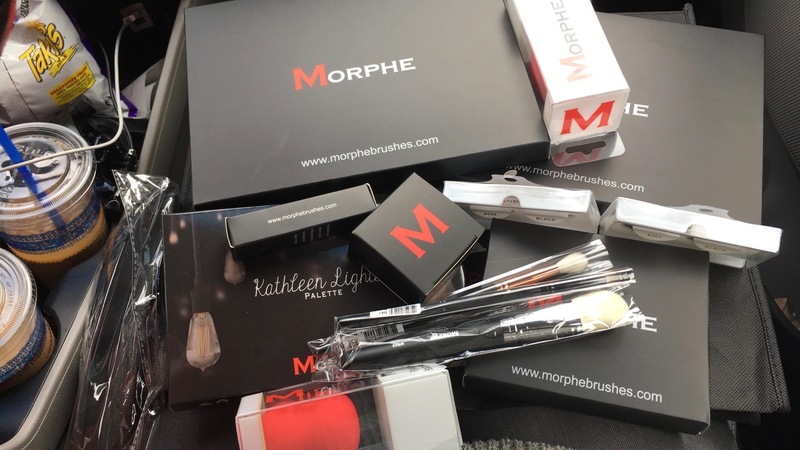 If you follow any beauty blogger on Youtube then you have probably heard of Morphe. 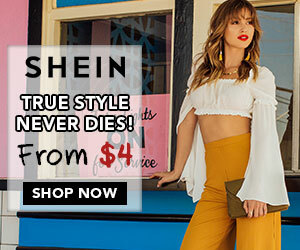 If you haven’t, well, stop what you’re doing and go visit their website right now! They only have one store and I knew while I was out in California that I had to make a stop. 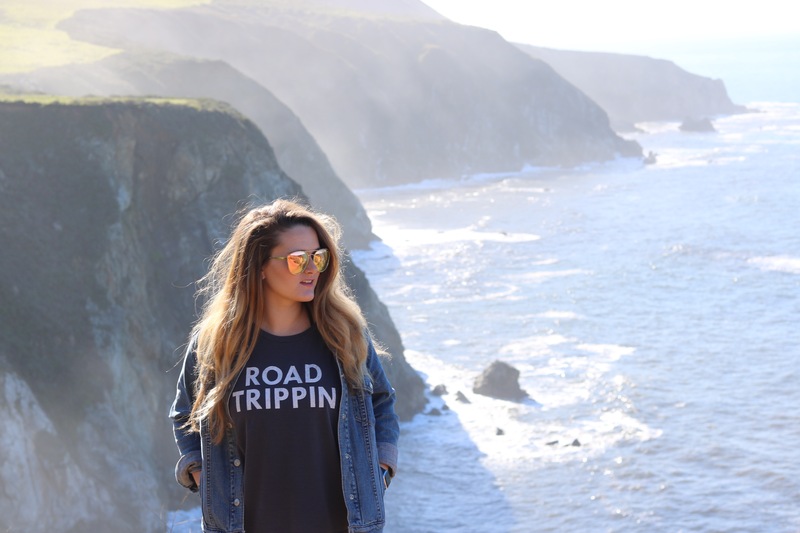 It was one of the coolest stores and experiences ever! 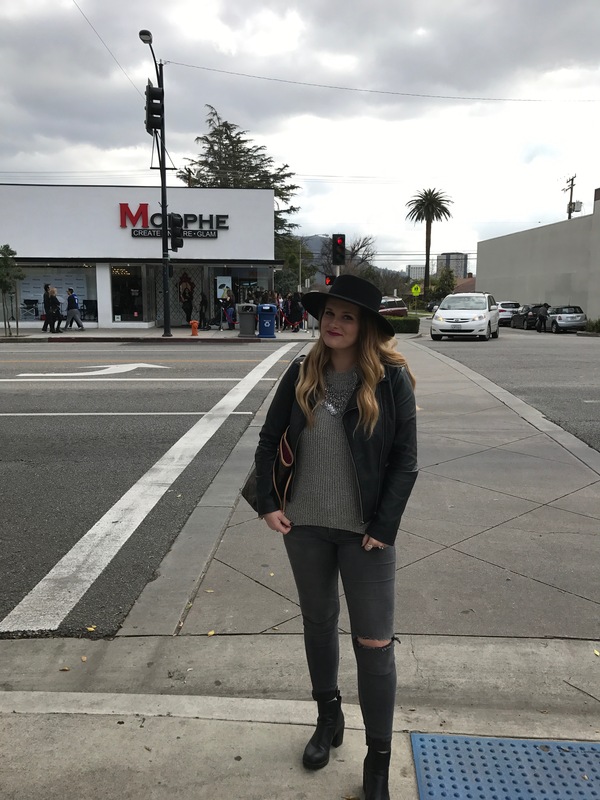 If you love makeup and you’re ever in LA, stop at Morphe! Let’s just say that I went a little crazy while I was there but I definitely don’t regret it because I love every single thing that I got and use them often. How did I justify this large purchase you ask? Well, they only have one store and I don’t know when I’ll be back in LA, for the same amount that I spent at Morphe I would have got maybe five things at Sephora, and I was treating myself for graduating college! 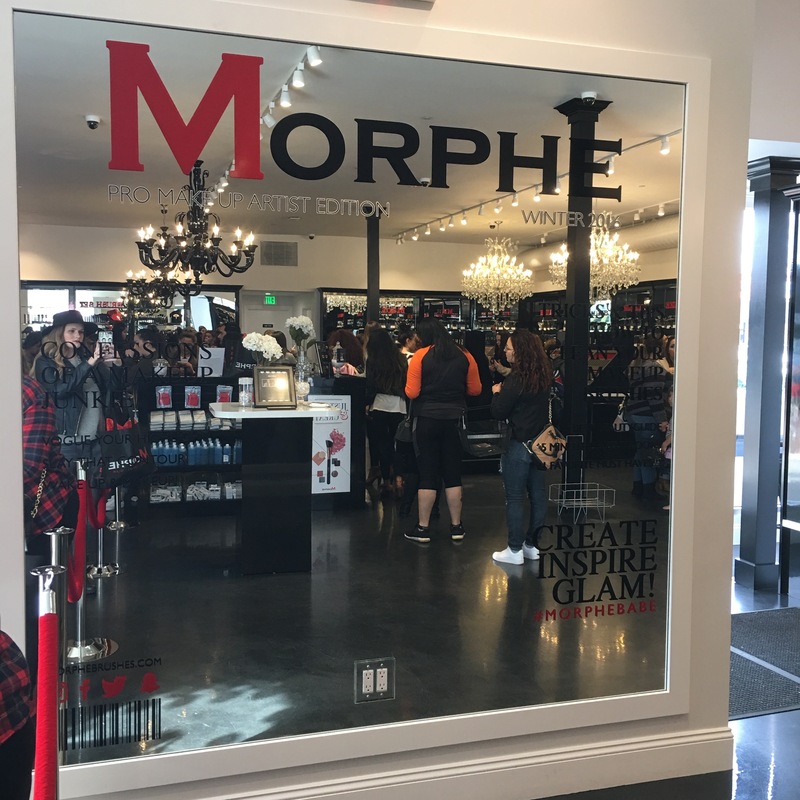 The store itself is like no other makeup store you will walk in. It’s beautiful inside and out, not too cluttered, and makes you feel as though you are truly a pro makeup artist! From waiting in line outside with the velvet ropes to walking into their sleek store, I was more than impressed! Seriously, the second I got in the car I dumped my bag out in my lap and looked at everything all over again. I seriously couldn’t wait to get back to my hotel and play with all my new stuff. I knew that the second I got back that I would be using everything and getting it dirty, so excuse the poor hotel lighting in these pictures. I knew if I didn’t document the products then, I would have had to take pictures of dirty product! I definitely went a little crazy on the palettes but I couldn’t help it! The large one on the bottom is the 35K Koffee Eyeshadow Palette. Each large Morphe eyeshadow palette contains 35 colors. This palette was originally $39.99 but is now $22.99! I bought this one because I don’t branch out with my shades much and I thought that these colors would be fun to play with and create some new looks. Plus, I have blue eyes and thought this would pair really well with my eyes and skin tone. The large one on the top is the 35T Taupe Eyeshadow Palette. Again, this palette also contains 35 amazing, crazy pigmented eyeshadows. 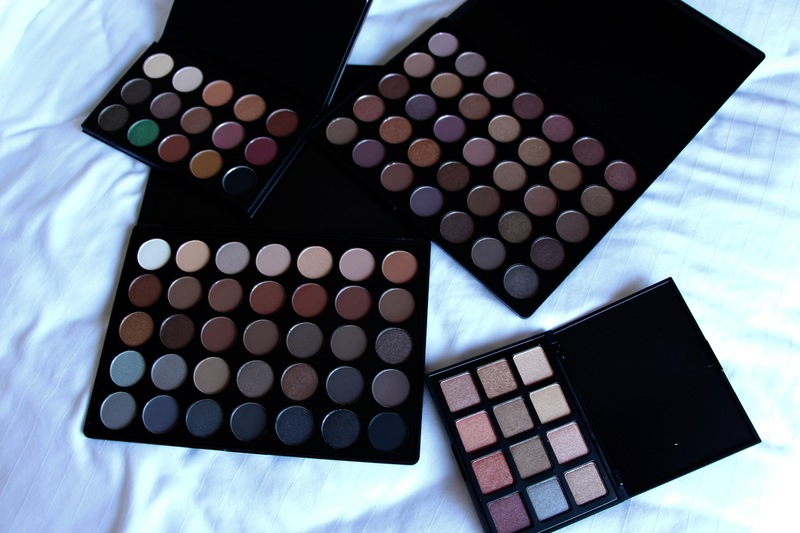 Also, all of their palettes, unless specified, contain both matte and shimmer shades. This palette was originally $44.99 but is now $22.99! The lady in the Morphe store suggested this one to us for blue eyes, also I just really loved the colors since I have a few purples, but needed some more to pair with them to create some new looks! The small palette in the left-hand upper corner is the Kathleen Lights Palette, which is, unfortunately, no longer available on their website. It might come back in stock, but I honestly have no idea. I really just bought this one because it was only like $12, it was a collab with a Youtube blogger, and had a wide variety of colors to create some fun looks. Lastly, the small palette in the lower right-hand corner is the 12S Soul of Summer Palette – Pick Me Up Collection. I bought this one because I just wanted some extra shimmer shades to play with! It’s $14.99, and just like all other Morphe shadows, super pigmented and blendable! Honestly, my biggest regret is not buying more brushes while I was there. But the ones I got, I absolutely love! I got two different sponges; one is the Highlight & Contour Sponge and the other is the Flawless Beauty Sponge, both are $6.99. I absolutely love these sponges and for being on the cheaper side, they are great quality and work just as well as my original Beauty Blender. I haven’t worn fake eyelashes since my dance competition days, so a good four years or so, but I’ve been dying to try some new ones out so I picked up a couple of pairs while I was there! I tried to get the most natural looking ones, so these are the two I picked. I can’t find the exact pairs that I bought on their website, but they’re all $1.00 so they’re worth a shot at least! I still have yet to try them out because every time I want to wear them, I realize I have yet to buy lash glue. So, stay tuned to see how they turn out! Brush shopping here was honestly overwhelming so I only chose a few that were recommended by Jaclyn Hill or the lady working there. The first one I bought was the M523 Tapered Powder Brush which is $14.99. I use this one for contouring and I absolutely love it! The next one I got is the R37 Pointed Blending Brush which is $5.99. This is now my holy grail eyeshadow brush. I seriously cannot complete a look without it now. It is perfect for your crease, picks up the right amount of product, and blends out the color flawlessly! The last brush that I bought is the B81 Tapered Blender Brush which is $3.99. This brush I haven’t used as much because I have been so addicted to the R37, but it’s still a great brush for blending out your crease! I also bought their concealer because, why not? I got the Bare Skin Morphe Concealer which is $4.99. I have used this several times and I’m kind of indifferent about it. It’s a pretty thick formula and worked well for under my eyes but I’m just not used to having such a thick product under my eyes. Personally, I prefer the lighter concealers for under eye coverage. The last product that I bought, that isn’t pictured, is the BCS15 15 Slot Pro Leatherine Case which is $7.99. This is a great product for travel or if you are a makeup artist who carries her brushes from client to client. I love it, but I do also regret not spending the extra $12 and getting the square snakeskin case that Jaclyn Hill talks about because let’s be honest, I want anything and everything she talks about. The case still does it’s job and doesn’t take up too much room in a bag. 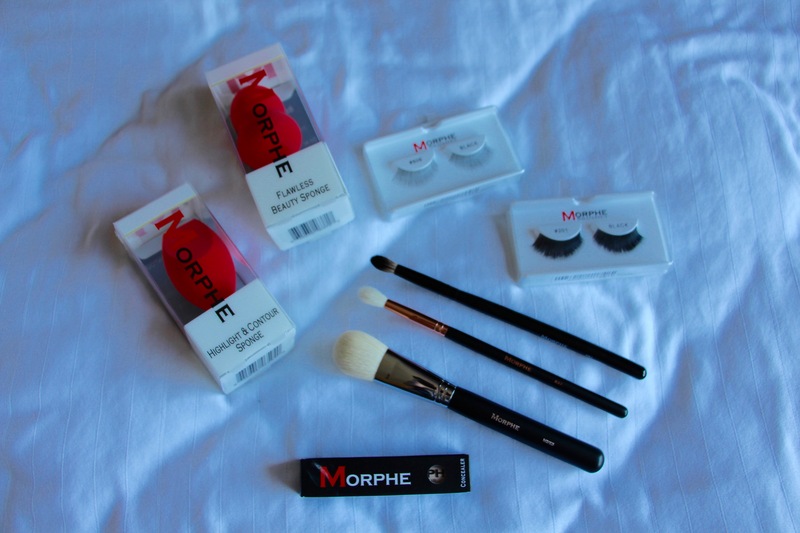 What are your go-to products from Morphe? What have you tried and not had success with?? Let me know in the comments below!